On Saturday evening, November 15, 2003, over one hundred people got together to celebrate WWUH's 35th Anniversary. The party was held in the University of Hartford's 1877 Club, directly above the WWUH studios in the Harry Jack Gray Center on the university's West Hartford campus. The evening festivities kicked off when WWUH founder Clark Schmidt took the podium. Clark, who is now a radio programming consultant, was a student in 1968 when WWUH first went on the air and was the person responsible for spearheading the radio station project at U of H. He was able to pull together a large group of students who would become the people who actually put WWUH on the air. Clark, who was the station's first General Manager, spoke for twenty minutes about what it was like to be involved with the "birth" of a radio station, and mentioned how proud he was with the way the station had turned out. The night's next speaker was WWUH's current station manager and Chief Engineer, John Ramsey. 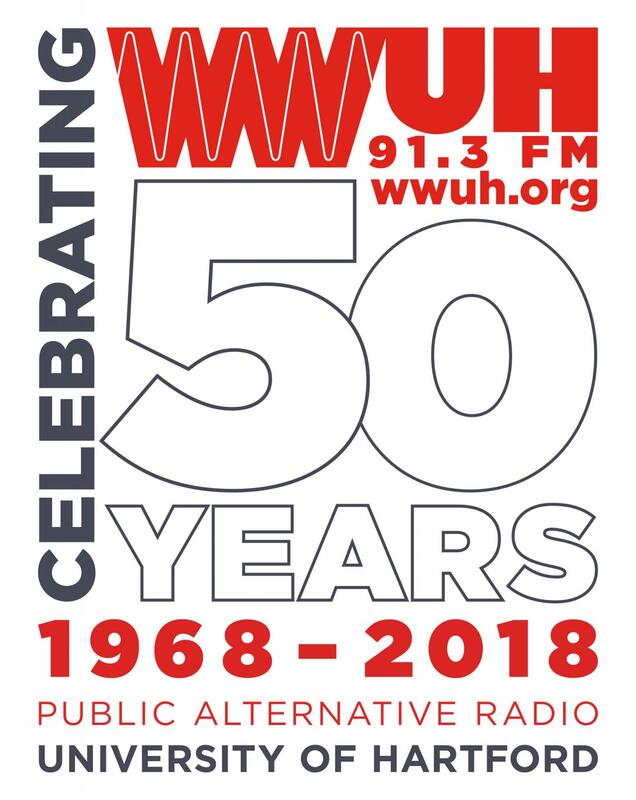 John spoke about WWUH's history of excellence and the wonderful legacy that Clark and the thousands of volunteers who have kept the station on the air over the years have left. 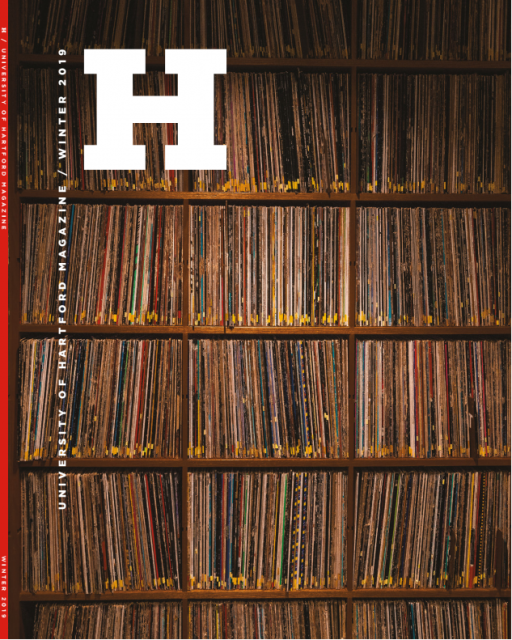 "Who would have thought in 1968, when the station first went on the air, that localism would be all but gone from the radio dial 35 years later, and the public's trust of the electronic media would be at an all time low." Steve Berian (class of 1979) followed John at the lectern and, along with Clark Schmidt, announced the creation of a WWUH Scholarship Fund that will help ensure the future of the station. Susan Mullis, the station's current Development Director, presented John Ramsey with a plaque honoring him for twenty five years of service as WWUH's Chief Engineer. Over sixty present and former staff members were present for the event, including four former WWUH General Managers: Clark Schmidt ('69), Judy Corcoran ('73), Patty Kurlychek ('80) and Dale Maine ('81).